The former Midland Railway main line through the Peak District from Matlock to Buxton, closed by British Rail in 1968 was one of the most scenic sections of railway in Britain passing through tunnels and over viaducts and giving impressive views of the area. In 1975 a group of railway enthusiasts put forward proposals for the re-opening of the Matlock – Buxton railway line as a heritage and community railway offering a service for both tourists and local residents, and so the Peak Rail project was born. Our principle aim is to provide help, support and advice to Peak Rail plc, to ensure the successful implementation of its proposals to re-open the former Midland Railway main line through the Peak District as an independent railway. This includes raising funds for specific projects, collecting and preserving in its archive historic documents, photographs and equipment which have an association with the railway, recruiting new members and volunteers and helping to operate the existing railway from Matlock to Rowsley. The Association is managed by its own Board of Directors including representatives from the branches and Peak Rail plc, as well as those elected by members at the AGM. These occur once a year and every member (except Junior members) are entitled to attend and vote. It is also an opportunity for you to raise any questions you may have. Our annual raffle raises funds for a specific project each year. Projects funded wholly or partly by the Association have included the engine shed, picnic area, shop building at Rowsley South, coach restoration plus a station waiting room on Matlock Platform 2. 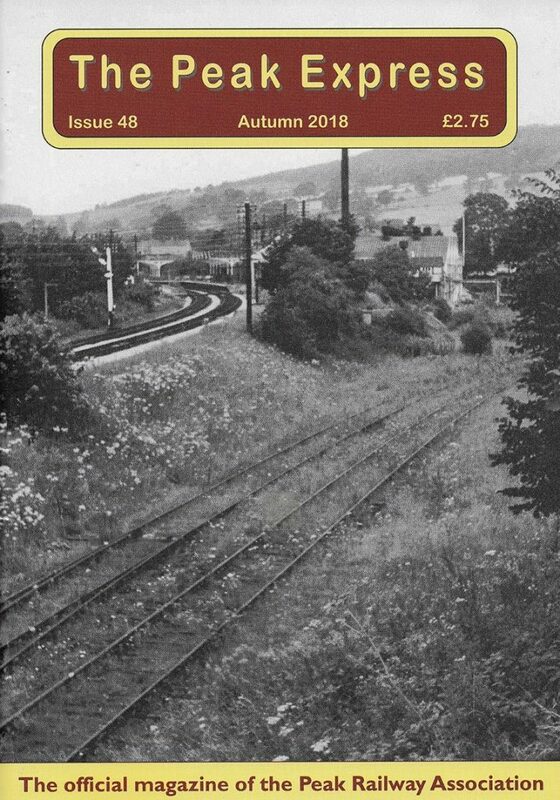 A complimentary copy of our magazine The Peak Express issued three times a year and contains articles and news from the railway and advance notice of events. 10% discount off certain items in Peak Rail shops (excluding confectionary items, second hand railway books, second hand videos and DVD’s, railway memorabilia and railway models). 5% discount on any Bill Hudson Transport Books on sale in Peak Rail shops – for a full range of titles available visit www.billhudsontransportbooks.co.uk. However Peak Railway Association Ltd and/or Peak Rail plc reserve the right to change this in the future. 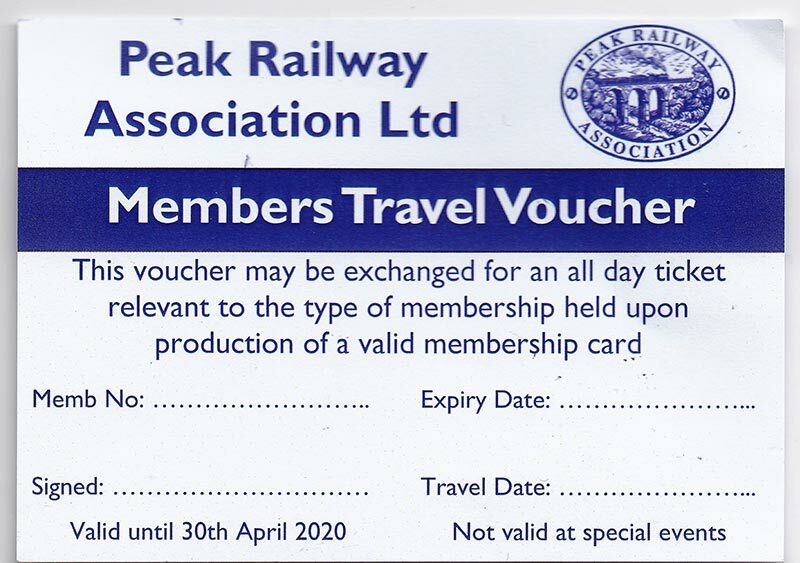 Please note that to receive any of the above benefits (excluding the delivery of The Peak Express) you must carry your membership card with you when visiting the railway and produce it to receive the travel concessions and discount benefits. At present we have four branches of the Association in Sheffield, Chesterfield, Derwent Valley and Derby. A High Peak (Buxton) branch is currently being established. Branches consist of Association members, who meet approximately once a month for talks, slide shows etc. In addition, the branches also organise various fundraising activities and attend events across the country to promote Peak Rail. Please visit the branch pages for details of these events. If you wish to find out more about the Peak Railway Association Ltd, or about volunteering on the railway, then please email: members.pra@gmail.com or telephone 07564 308418.